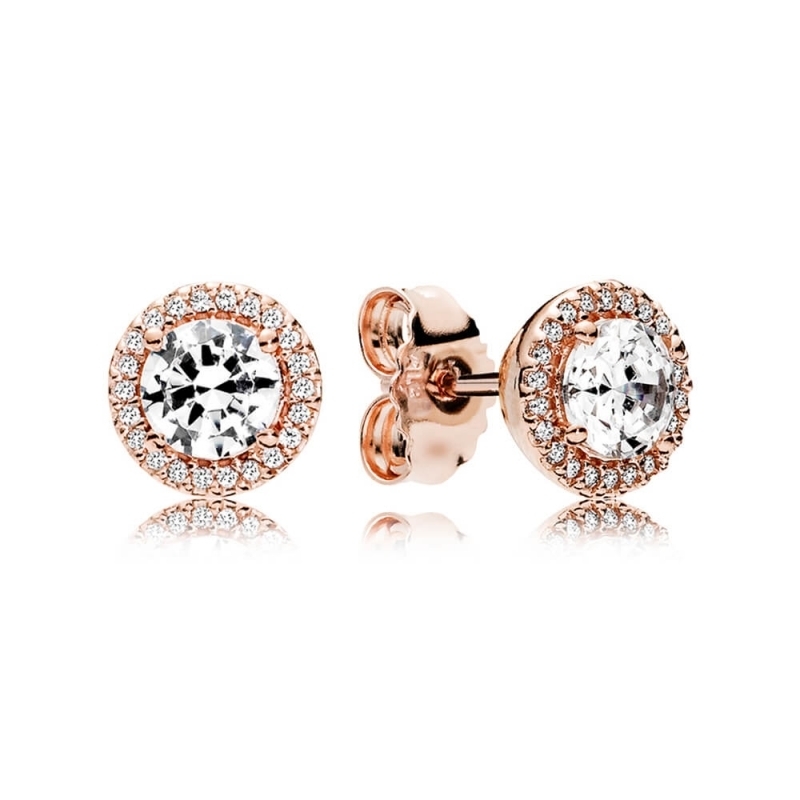 PANDORA Rose Classic Elegance Stud Earrings. With a gorgeous pink hue, these PANDORA rose earrings exude glamour and sophistication with a modern twist. The large claw-set cubic zirconia in the centre is surrounded by 44 individually clear set stones. Excellent service, good arrived in good condition without delay. Thank you for your feedback. we're delighted that you are happy with our service.